3rd purchase. Just a nice looking wallet. Liked it so much now I'm buying them for birthday gifts. Lots of colors to pick from. Love them. 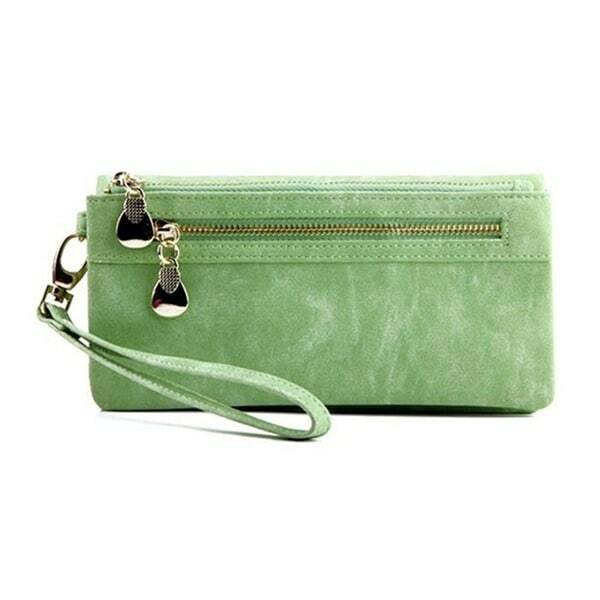 This faux leather wristlet is available in a variety of colors and is perfect for holding cell phone, cash, coins, cards and photo ID. Features 11 Card Holders, 1 Photo Holder, 1 Long Cash Holder, 1 Long Coin Holder with zipper, and 1 Long Phone holder with zipper. This fashionable and functional wristet is a must have and is sure to please. My partner and I met at college and after getting to know about each other's talents and passions, we decided to take the entrepreneurial path. We traveled to Switzerland and China to seek out quality components at affordable prices to use in our line of watches and jewelry. Eventually we transitioned from store front retail to wholesale and online retail. It has been an exciting transition and two children later, we are still passionate about each other and providing quality accessories at affordable prices to our customers! Dimensions 8.0 In. X 2.0 In. X 1.0 In. Room for cell phone is good and pocket is zippered. Room for money is good and pocket is zippered. But area for credit cards only has one snap. Cards can be viewed and removed without opening snap. Very unsafe. Really nice quality and will hold all sizes of cell phones. was going to give as gift but so lovely I kept for myself. highly recommend and the colors are fab! I love this wallet. It is compact but has enough space for all my cards, both the ones I use all the time and others that I use occasionally. I am extremely happy with the size of it and also the way it is made. I would recommend it to anyone who wants an attractive wallet with total functionality. Perfect size, great color, looks very nice, and plenty of space for cash, cards, and needed shopping/traveling items. Love it. I’ve had this wallet for about two years. I Always have plenty of stuff in it. Cash, cards, change, my phone and i still have “secret” pockets to fill. After two years it was starting to tear, so I went looking for another wallet and didn’t find one I liked so I bought this same wallet again. And I still love it. I purchased this as a gift for my wife. She loves it! The phone pocket is the best. Now everything is kept in one place and there is no more looking for the phone. This wallet is great. It's the 1st full size wallet that I take everywhere. I don't like bulky wallets so usually just take a change purse and then I find myself without a credit card or checkbook or any of the other items that I can keep in this wallet. There is plenty of slots and pockets to organize my things without being bulky. And I can even slip my cell phone into it when running errands. Bought for my daughter and she loves it and uses everyday. 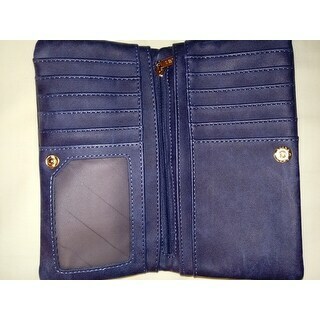 This wallet will not hold my Motorola Droid z-force phone, I am unable to use it like I want. Also no protective strap or cover to contain a smaller phone. I will pass this one on to a charity. I haven't moved into it yet hence the 4 stars, It looks like it will hold everything I have...soft material, great color. Carry your phone coupled with money, credit cards eliminating the wallet. Two things. If you hold wallet with the wrist handle you can't let it swing, if you do, your cell phone won't stay in. Also credit cards can be seen on the other side. I will use it, but not on the wrist handle. I love it accept for one small issue which is why I only gave it a 4 star. The license window slot is sooo hard to get the drivers license out. Other than that the wallet is fantastic. Lots of pockets and slots for all my needs. Looks great and the feel of the material is really nice. I hope the snap doesn't break as its a little hard to open but that could be a good security thing so we'll see. I would recommend it to friends despite the 2 small issues. I got the pink. 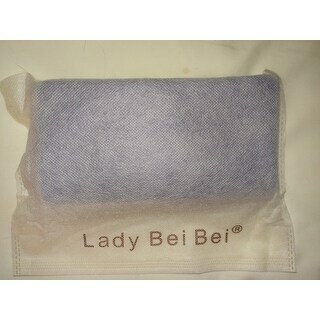 I have this wallet and like it so much that I ordered 2 more in different colors. It is so complete it is all I carry when shopping. Gorgeous wallet! Designed to organize numerous credit cards& a sturdy zipper compartment for loose change. The best feature of this wallet is the RFID technology which protects criminals from scanning the chip on your credit cards. It comes in a very nice cloth bag which was a very nice suprise! I truly love it!! This wallet is great I love all the room in it, well worth the money. Very nice wallet. Lots of hidden spaces and great for everything I need. "can my cell phone fit in it Samsung Galaxy 8 plus." The opening slot to hold a cell phone measures 6.75” x 3.25 “. 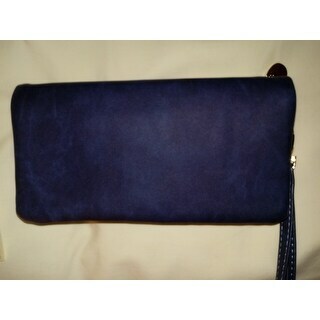 We would suggest measuring your phone with the case on to determine if this wristlet would accommodate your phone. Thank you for your inquiry. It is bigger than the coach or michael kors wallet so it can hopefully fit a cell phone with a case on it.